"It began three days ago with a fight. Seems that for me, everything begins with a fight..."
But all her plans go wrong after she gets in a fight with some local thugs to save rich-boy Gregory. Now local bad guy McCloud is after her. Gypsy Girl Sammy Jo may be strong, fast and tough, even in heels, but this time she's met her match. And the guys who are after her are nearly as dangerous as her forbidden love for Gregory. 5 Words: Prejudice, strength, family, crime, self-belief. I'm not sure what I was expecting when I picked up Gypsy Girl, but I know I wasn't expecting to fall in love with Sammy Jo. I had never heard of this book before, no one I knew had read it, I was going in blind. But damn, I'm going to sing its praises and push it on everyone. Sammy Jo is tough and strong despite - perhaps because of - the odds stacked against her. She is physically strong and mentally strong. Compassionate, the glue holding her family together. She knows what she wants, she fights for herself, her right to be seen and judged on her merits rather than her culture. She is a complex, multifaceted character, who presents a different persona to each person she meets. It is only as a reader, reading her narrative, that you get to see the whole person. It must be so exhausting having so much prejudice and hate stacked up against you. The pace of the story does go between SUPER FAST and s u p e r s l o w but it averages out into a fantastic read and I couldn't put it down. It got my adrenaline pumping and it got me thinking. 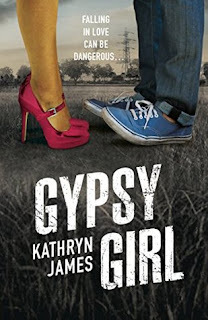 The moment I finished Gypsy Girl I bought myself a copy and ordered the second book. I absolutely loved it and got so invested in Sammy Jo. I can't wait to see what the future holds for her. I really adore books where you fall in love with the main character! 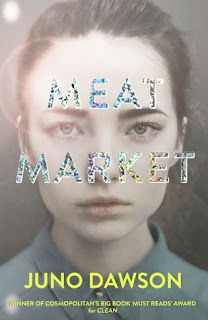 It's interesting to read something with a protagonist that isn't entirely sympathetic, but in terms of what's enjoyable, I think I prefer one with a Sammy Jo over an antihero! I've never read Dracula, I never get on well with classics. I'm always on the look out for a new read, I'm currently reading 'How to be an Overnight Success' by Maria Hatzistefanis (the founder of Rodial) but I'll definitely check this out when I've finished!